Generally speaking, I will always opt for an Eau de Parfum over an Eau de Toilette for a longer lasting fragrance. I begrudge having to constantly top-up on a fragrance that doesn’t last too long on the skin, because perfume is expensive!. 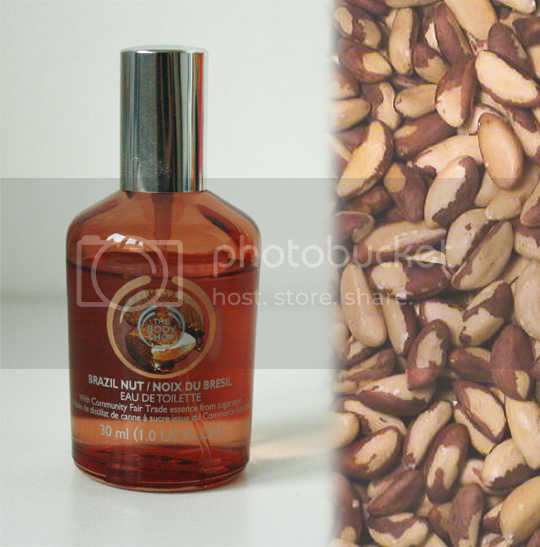 However, I fell madly in love with The Body Shop Brazil Nut EDT (which will finally be out on Tuesday 23rd April!) so I was very excited to hear that along with this Limited Edition scent, The Body Shop are also releasing another eight permament Eau de Toilettes to their fragrance collection! These eight new fragrances capture some of The Body Shop’s most loved ingredients in a gorgeously scented and surprisingly affordable new collection. It’s probably a given that at least one of your favourite The Body Shop ingredients has been given the Eau de Toilette treatment: Take your pick from Strawberry, Moringa, Coconut, Mango, Shea, Satsuma, Pink Grapefruit and Vanilla (and of course my favourite Brazil Nut for a limited time only!). The star Community Fair Trade ingredient in these new fragrances is organic alcohol derived from sugarcane. 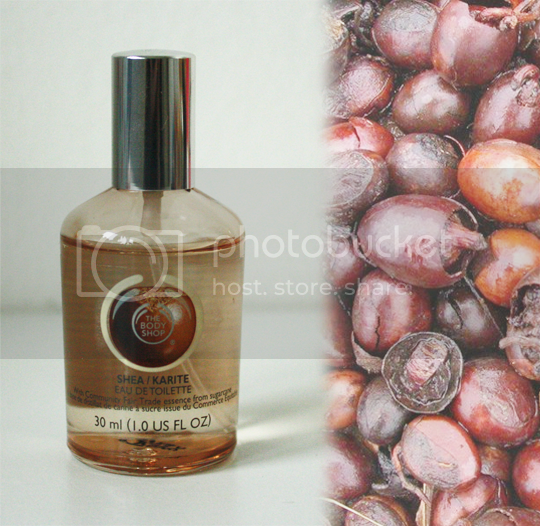 It comes from The Body Shop’s Ecuadorian Community Fair Trade supplier, the CADO Co-Operative. In Ecuador, the traditional farming methods used to cultivate the sugarcane help to preseve the area’s natural diversity – not to mention ensuring top quality! Trading with The Body Shop has allowed the rural Ecuadorian farmers of CADO the access to a fair and sustainable market. These stories have become all the more important to me since I met Gaston Vizcarra a couple of months back! In a less ethical, more superficial sense, the thing I really love about these new fragrances is that they’re totally pure and unadulterated. Don’t get me wrong, I’m a big perfume fan and can appreciate the effects you can achieve by blending certain notes and nuances, blah blah blah, but these new Eau de Toilettes are so perfect in their simplicity. You’re not trying to identify a bunch of different top, heart and base notes – it’s just plain Coconut, or Vanilla, or whichever. I love that! My favourite one is Brazil Nut*; so gutted that this, and the whole Brazil Nut range in fact, is limited edition. This smells so delicious, almost like milk chocolate. I really, really recommend getting hold of this one from the 23rd until it disappears forever! 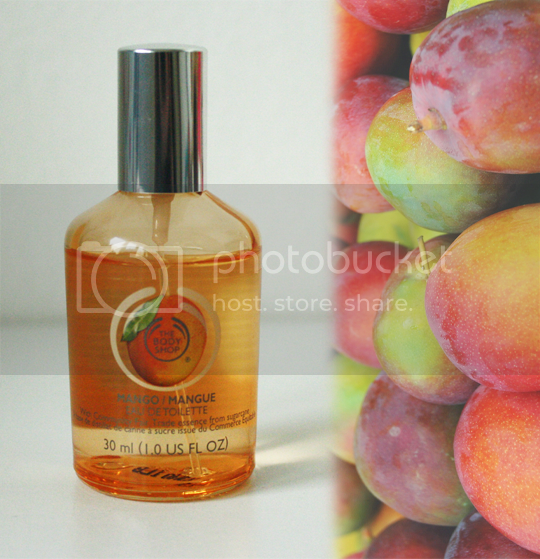 I’m not normally one to go very fruity with my fragrances, but this Mango EDT is so fresh and invigorating! It’s a good waker-upper in the mornings if you’re feeling a little sluggish. I love the scent of shea butter – not dissimilar to cocoa butter but with that added nuttiness that’s just delicious. This one’s quite a sultry fragrance, I think. So the really great thing about these new fragrances is the price. 30ml will only set you back £8.50 – bargain! The scents may only last a few hours on the skin but the dinky bottles are easy to carry around for top-ups and you won’t feel guilty for doing so because they’re so affordable. The new Eau de Toilettes from The Body Shop are available now in store and online – if I were you, I’d wait to pick up the ones you like the sound of as they often have big 40% off offers online! I’m definitely going to pick up Coconut (one of my favourite TBS scents ever, FYI) and Vanilla, possibly also Moringa.. we’ll see! Which ones are you most liking the sound of? I think I might need the satsuma and pink grapefruit ones. 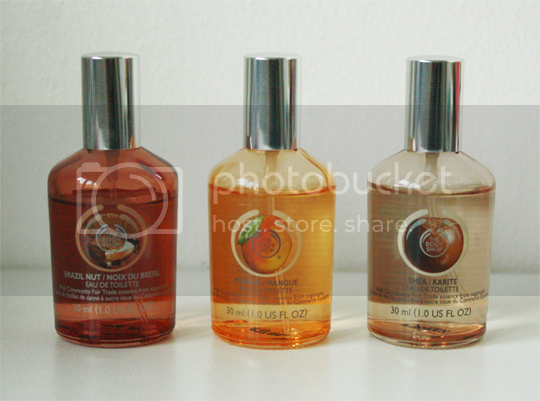 I absolutely love those scents!